Decided to take a look at the door segment scaling issue. The way I hide away the door segments into the frame of the door is by scaling it in the direction of movement. Anyway, I looked into seeing if I could resolve this by using a shader that makes the parts of the door that protrude transparent. 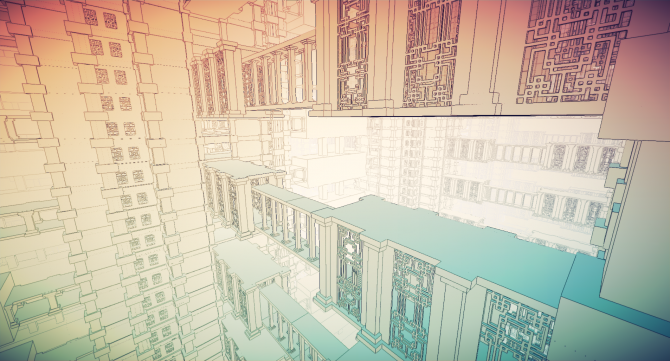 However, this ended up being much more complicated because of the edge detection shader. In the above image, it’s supposed to be stripes of transparency – the white parts should be opaque and you shouldn’t be able to see black edges through it. Obviously, I don’t want to see the outline of the door segment that’s protruding. Another approach that I thought would work would be the replace the door segment with a single box with a texture applied on top, and then offset the texture based on how much scaling was done. 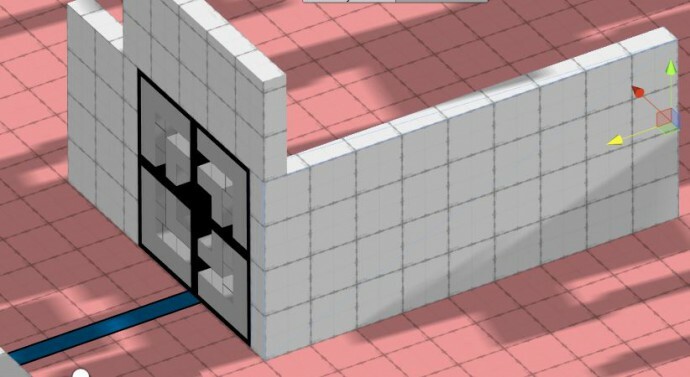 Some people on twitter suggested simply modeling and animating the door in a 3D software, and have parts that nest into each other as the door goes into the frame. This would work. However, I thought about it some more, and I don’t think it’s really an issue I need to worry about. The scaling seemed very obvious in the gifs I posted mostly because time was slowed down quite a bit. In the game, the door opening happens in 0.3 seconds. 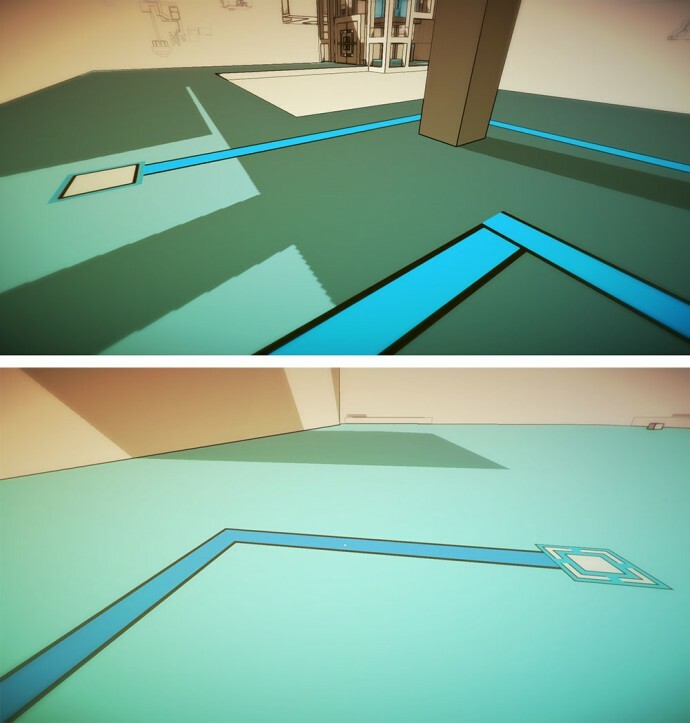 It’s literally a fraction of a second, and given that players are usually standing some distance away when the door opens (because they’re pressing a button or putting a box on a switch), the scaling effect would be hardly noticeable. The door opening is so quick I don’t think it’s anything to worry about at least for now. If it really proves to be a problem later on, I’ll just get a 3D artist to animate it with the suggestion above. Got the basics of fruit growing on tree working. In the above gif, the animation looks pretty dead. It’s just a linear growth rate. 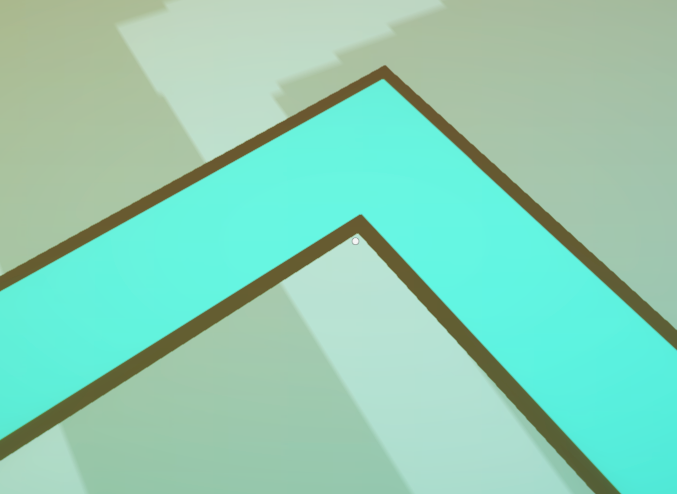 I then switched to using an animation curve to control the growth rate, and made it so the box actually is larger than normal at a certain point to add some juiciness to the animation. It was a really cool moment when I finally saw this. I’ve had this idea in my head for so long…. Since Tokyo Game Show in October I believe. To finally see it in action felt very weird, but incredibly satisfying. Like I knew exactly what to expect since I wrote it, but to actually see something with my eyes that I had been picturing in my head for so long… I couldn’t stop laughing. Will try again next year! Traveling Light on Switch and Doors! I think it works better for the entire line to go off when the box is removed, instead of having the light slowly retreat, as that would look pretty weird just to have the light on but not the box there. Also feels more snappy that way. I think I’d like to draw up some more designs of doors. I like the way this opens (feels very equal on all sides, which is necessary for the mechanic), but I wonder if the actual design can be improved. Calling the door animation from script was a bit more tricky as Unity 5 has changed the API for animation, and it’s quite confusing coming from Unity 4. Basically, it seems like one has to use animator now instead of animation component, and it’s animation states instead of animation clips. It feels quite satisfying, but I’m going to make it so that the door doesn’t open until the light travels across the path and hits it. Right now the door opens right when the box gets placed on the square, and I think it feels a little bit off. Continued working on signal line today. I couldn’t figure out how to fix it, and was pretty much ready to give up, since it seemed like a fairly minor issue. It was only noticeable if you looked very closely. 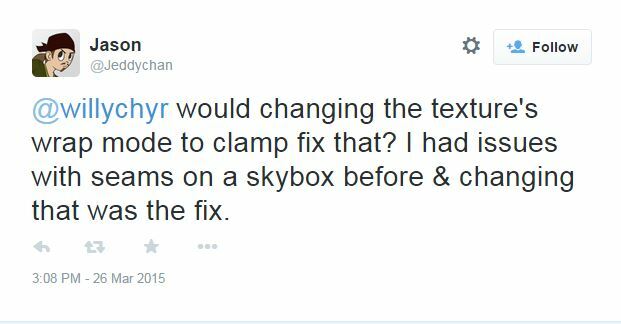 However, then @Jeddychan suggested changing the texture’s wrap mode to clamp to see if it would be fixed. Incredibly, it worked! Thanks @Jeddychan! 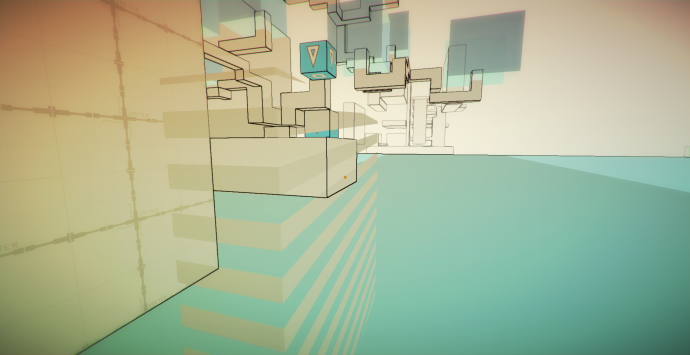 Anyway, the rest of the day was spent getting the timing of light travel right, and being able to connect different lines together. Pretty cool! 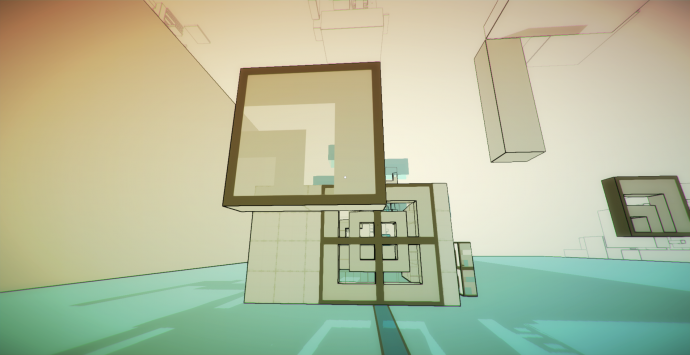 I actually wanted to do this effect about a year ago after seeing it in Quantum Conundrum, but had no idea where to start. 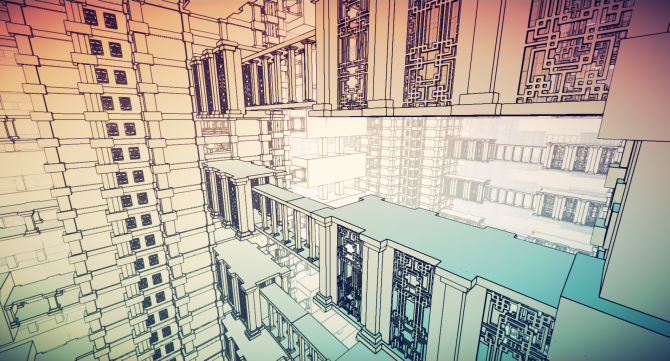 Neat that now I finally understand shaders enough to do what I want with them. 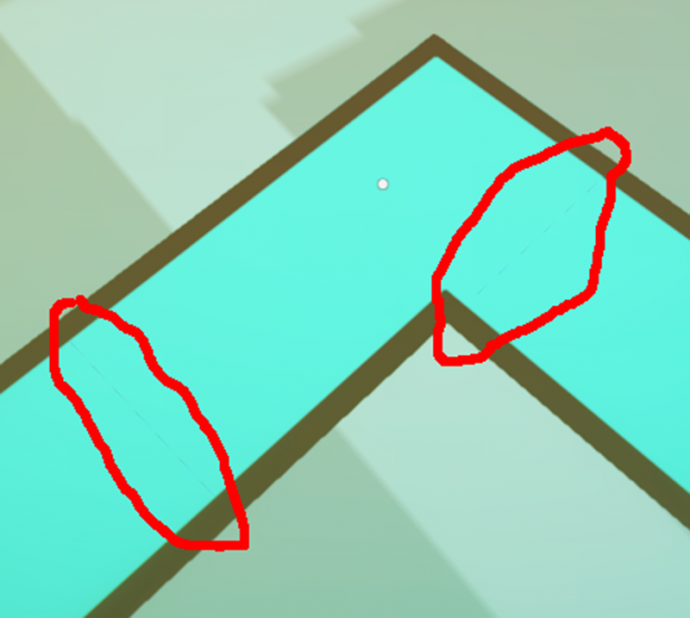 Been working on improving the signal line in the game. 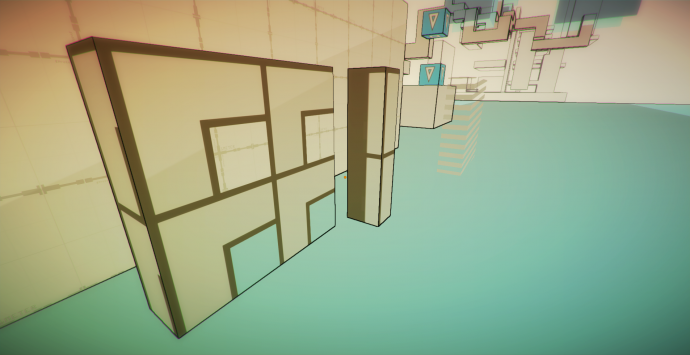 The signal lines connect the squares to a door, and when you put a box on a correct square, the line lights up. Mostly, this was just creating a special texture for the end of one straight line segment. Next, I wanted to make it so that the lit up color traveled through the line. BTW, really handy manual on surface shader writing here. Contains all the different in SurfaceOutputStandard variables, etc. Right now I have to manually enter the timing of each separate piece, but once I figure out the exact relationship between time and length of line, I should be able to automate it.